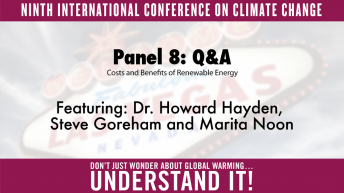 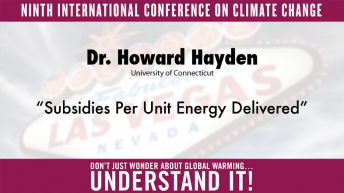 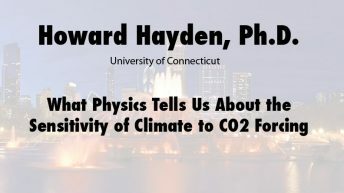 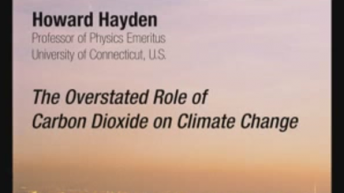 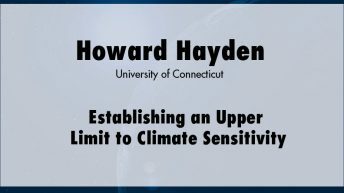 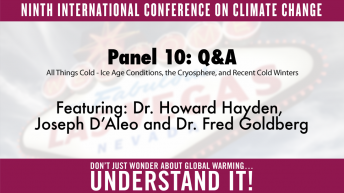 Howard Hayden, professor of physics emeritus in the Physics Department of the University of Connecticut, is editor of The Energy Advocate, a monthly newsletter promoting energy and technology. 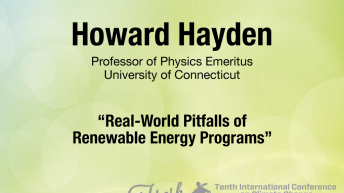 His research interests include ionic and atomic collisions, charge transfer, ionization, energy loss, energy-level crossings, ion-surface collisions, ion implantation, relativity considerations, and energy for society (fossil fuels, nuclear, hydro, wind, biomass, photovoltaics, solar heating). 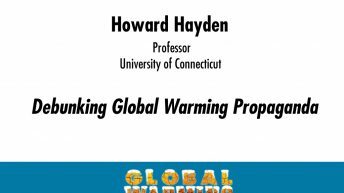 He is the author of, among other publications, The Solar Fraud: Why Solar Energy Won’t Run the World (Vales Lake Publishing LLC, 2002, 2d edition 2005), A Primer on CO2 and Climate(Vales Lake Publishing LLC, 2007), A Primer on Renewable Energy (Vales Lake Publishing, LLC), and Bass Ackwards: How Climate Alarmists Confuse Cause with Effect (Vales Lake Publishing, LLC).